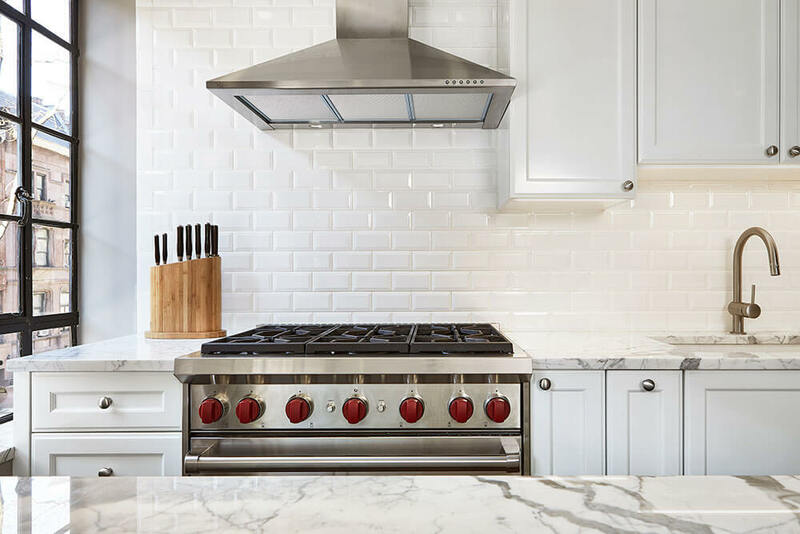 Natural stone of all types – marble, granite, slate, soapstone and more – play an ever-growing role in the luxurious design details seen in high-end homes. Nowhere is this more apparent than in the lush living spaces of New York City and the surrounding area. New York City has long been an epicenter of global style and glamour, and the designers responsible for this ongoing glitz take their role in moving home fashions forward very seriously. We’re showcasing four such style icons and the homes they had a hand in designing below, with an emphasis on their masterful use of natural stone. The talented team at Crafted Interiors gave new new light – and new life – to a dark and dated apartment in a pre-war building on the Upper West Side. The home’s former galley kitchen segregated the living area into two cramped, gloomy spaces with inadequate light. 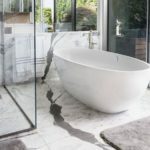 Thanks to generous slabs of white marble in the kitchen and the same stone used as tiles and shower surround in the master bathroom, this home now feels light and fresh instead of old and brooding. The owner of this apartment envisioned a space that melded his Australian roots with the clean modernity of his new New York City residence, and the design team at Dixon Projects delivered. White oak floors and ample quartzite countertops fit the bill, creating a brilliantly balanced blend of warmth and elegance in this modern space. 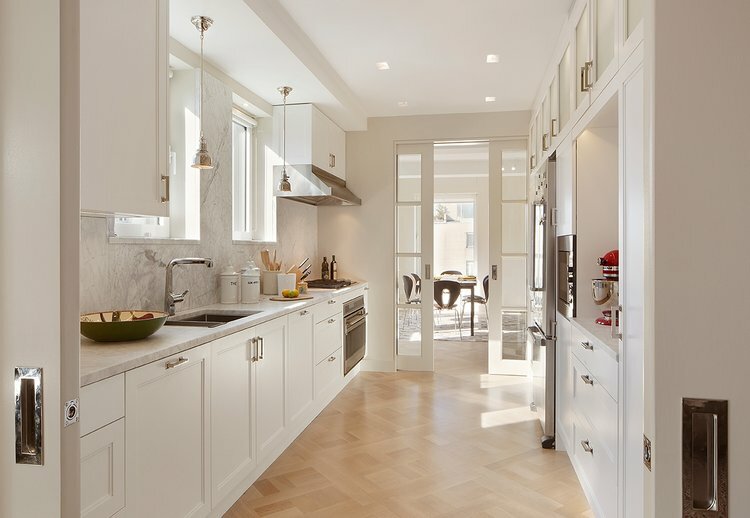 Atelier Armbruster had their work cut out for them to transform this 5-bed, 2-bath townhouse into a modern masterpiece. They started by creating a master plan which included renovation of both bathrooms and several other smaller spaces. 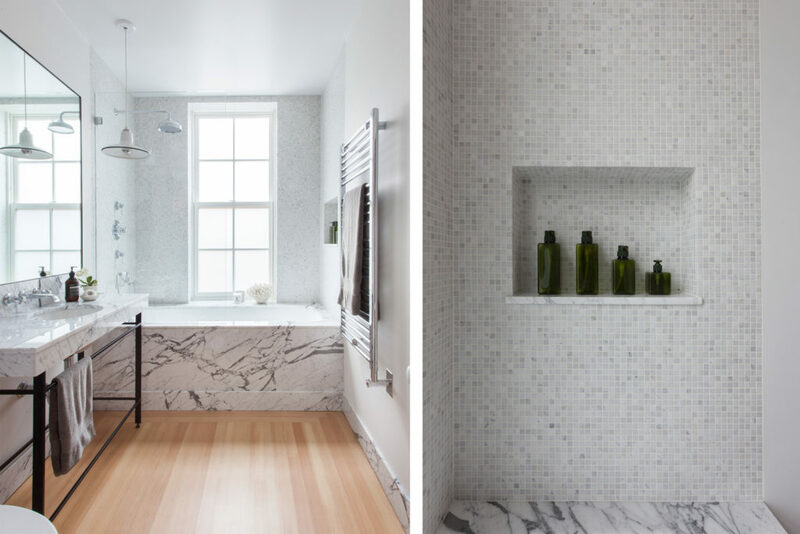 The master bath is now a work of art, showcasing slabs of marble around the bath, shower and floors. The relaxing neutral patterns of the marble give a spa-like feeling to the space; creating a perfect retreat from the pressures of city life. 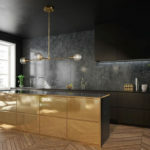 NYC – based designer NYA2Design created a kitchen that beautifully shows off the uniqueness of natural stone slabs. This galley-style kitchen features an on-trend tall backsplash, plus countertops and walls all done in creamy natural stone slabs for an immersively relaxing cooking experience with abundant natural light. 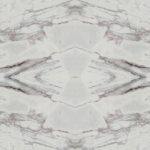 While home fashions may be fickle and the trends surrounding natural stone go in and out of style each new season, one thing remains the same: a love luxurious natural stone will always be in good taste. 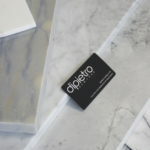 Whether you’re a stickler for soapstone, or a lover of marble masterpieces, there will always be good reason to make natural stone a centerpiece of your next home renovation project. Natural Stone: There is No Substitute. Contact us if you have questions about our slab inventory, request a digital rendering, sample or to learn more about our half slab program.